At Phalaenopsis nursery Hoog Bos we celebrate triumphs. 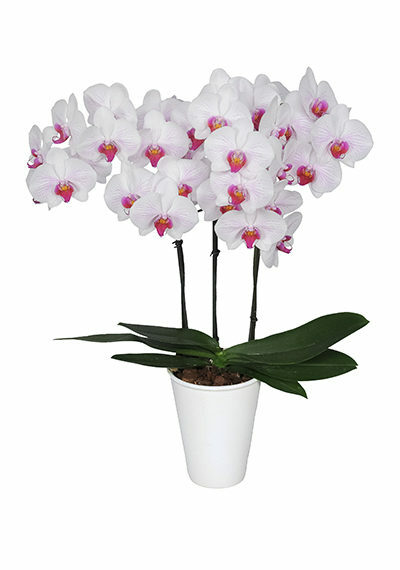 Our approach is not simply about good products, but the very best quality Phalaenopsis. We achieve this not only with smart cultivation practises and product development, but also with a great love for the product. It’s the very best results that count. We are ambitious and we go for gold and silver. After a rigorous selection process based on sustainability and the number of stems and flowers, we assign each product a place in our Gorgeous Gold or Stunning Silver collection. 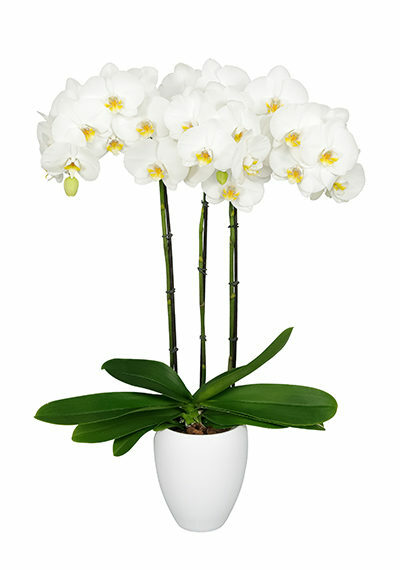 Each of these orchids have a minimum of 2 to 5 stems with many blossoming flowers. 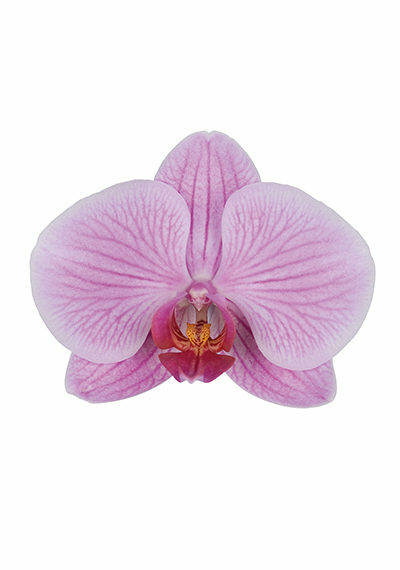 Our Phalaenopsis are bred to have a very long shelf life. So we like to take very good care of them. 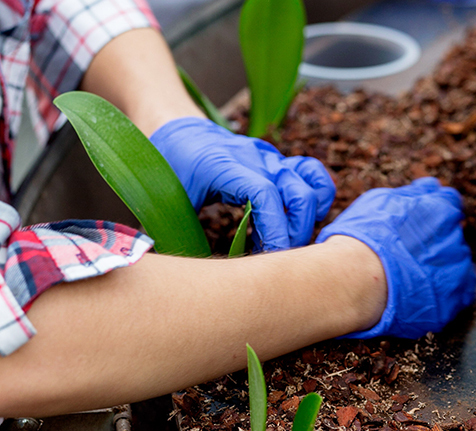 The standard treatment is a protection against ethylene, and each plant gets an extra watering before it is delivered. 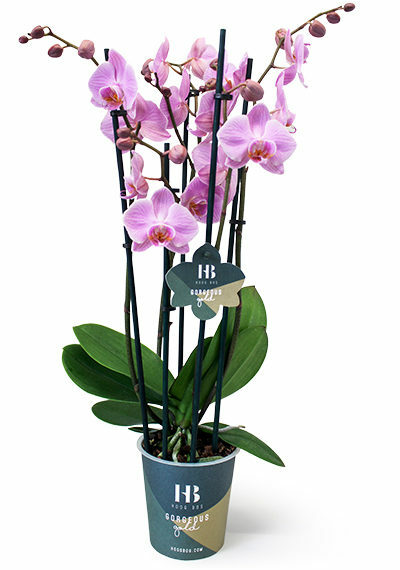 This treatment, as well as the special watering system H2Obloom, means our Phalaenopsis are not affected during the logistics process. Before our products leave our company, they are packed by hand and receive a final care check. 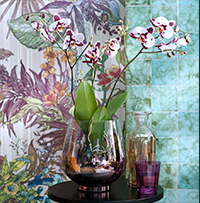 Only the top-class orchids from Hoog Bos become part of the Gorgeous Gold collection. 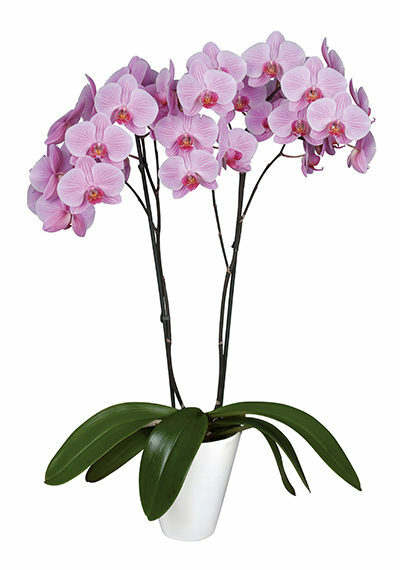 This golden collection contains Phalaenopsis with a minimum of 6 flowers per stem; champions for long-lasting enjoyment! 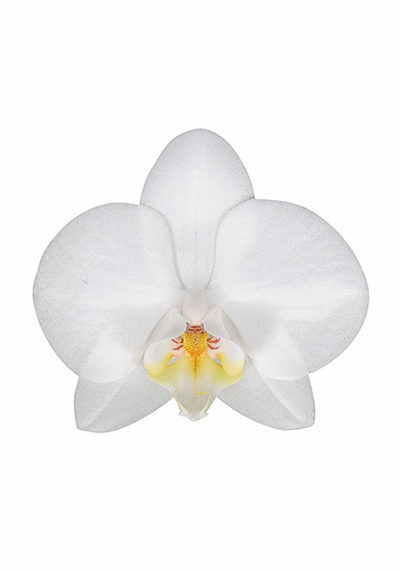 The Phalaenopsis from the Gorgeous Gold collection are available with 2, 3, 4 and 5 stems. You will notice abundant flowering with each different type! And you can also recognise this line by its specially designed pot with a golden touch. A worthy second place goes to the Stunning Silver collection. 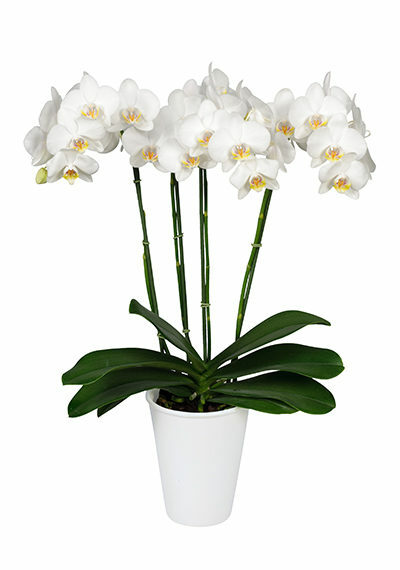 This line consists of Phalaenopsis with a minimum of 5 flowers per stem and are also available with 2, 3, 4 and 5 stems per plant. 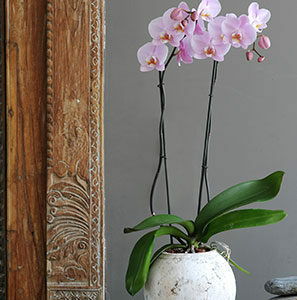 With the same excellent quality and high value as the golden line, the Stunning Silver orchids are picture perfect. A striking collection with a graphical pot covered with silver details. Cultivation is in our blood. With its roots as a family nursery, the company was bursting with cultivating experience and product development. And using this energy we started Hoog Bos in 2013. 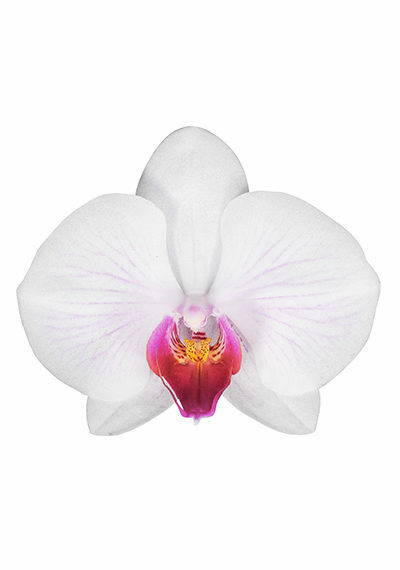 A young and efficient company based in Nieuwaal, where the highest quality Phalaenopsis are grown on 3.5 hectares of land. 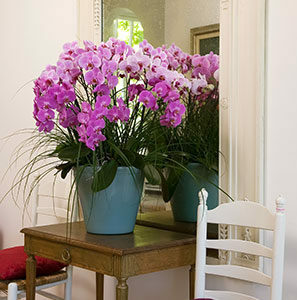 Our focus is on plants in 12cm pots with a minimum of 3 stems. 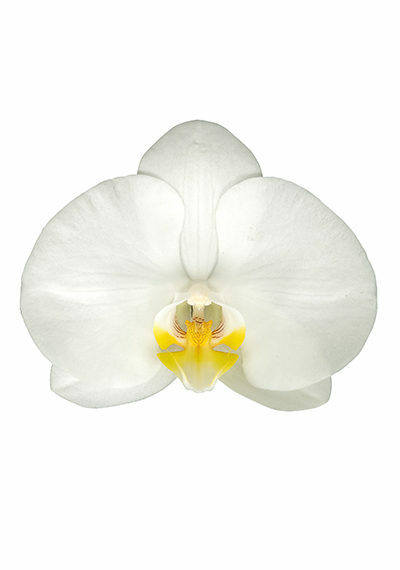 This allows us to concentrate on the high-end market segment in Europe and customers who are looking for the best Phalaenopsis! 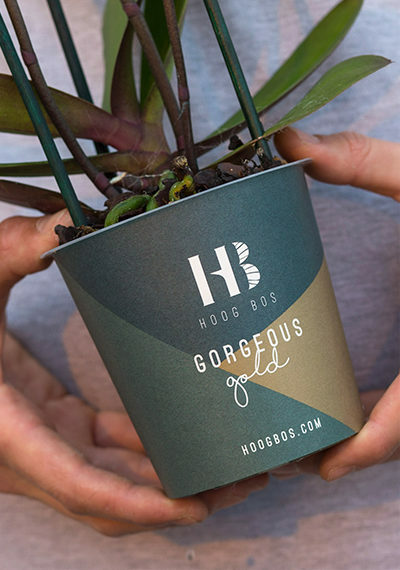 Gorgeous Gold and Stunning Silver are both available all year round directly from Hoog Bos and they are finding their way to European consumers via exporters. Both collections are also regularly for sale at the Royal FloraHolland and Plantion clock auctions. Breeders Gerard, Kees and Gerrit van Wijk are the proud owners of Hoog Bos. 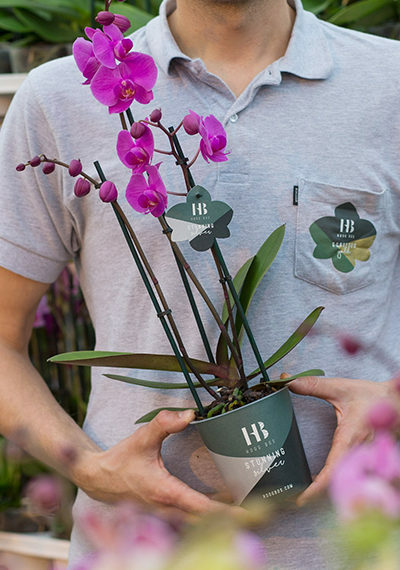 Together they guarantee the top quality of their Phalaenopsis. 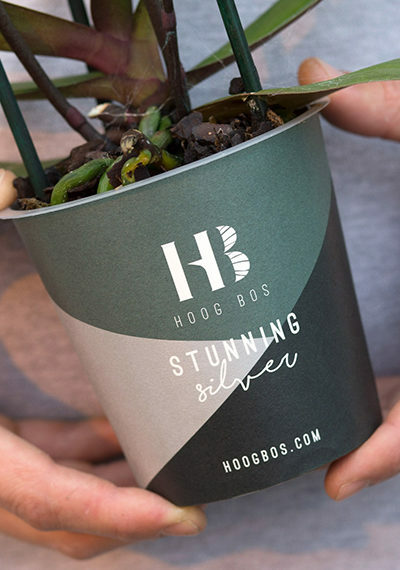 At Hoog Bos the latest techniques are used, which makes for perfect cultivation and helps to produce true champions. A product which is ready for its journey to the customer! 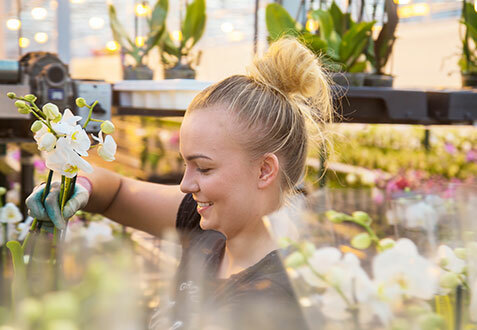 Together with a permanent team and a steady group of flexible workers, Hoog Bos effectively cultivate a colourful collection of Phalaenopsis. We are very proud of our products. 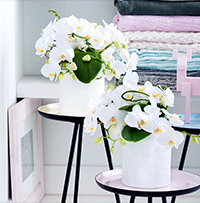 That’s why we want everyone to enjoy the beauty of our Phalaenopsis for as long as possible. From the cultivation period in our nursery to the journey to the consumer, we ensure that our products are kept in optimal condition. We do this with innovative plant treatments such as ethylene treatment and delivery with the H2Obloom. watering system. 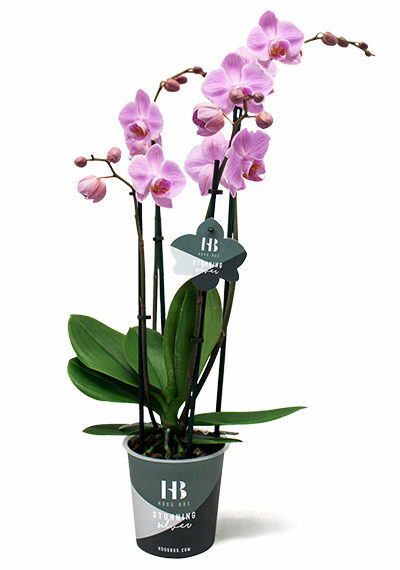 Each Phalaenopsis that leaves Hoog Bos is treated against ethylene as standard. 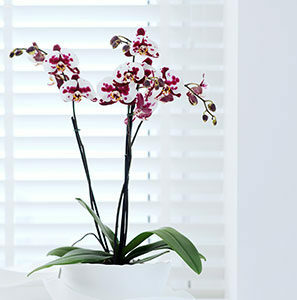 This ensures the Gorgeous Gold and Stunning Silver orchids last longer on the shop floor and at home with the consumer. 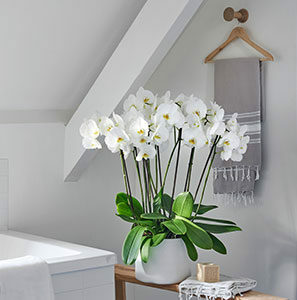 Our orchids are easy to take care of using the H20bloom watering system. 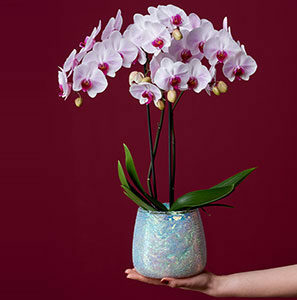 H2Obloom is a transparent vase with a click system and a water reservoir and is available on request with all orders. 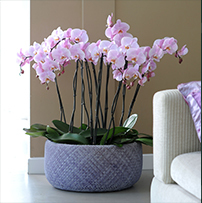 The water reservoir ensures that the plants are provided with water for 10 to 14 days, which means the Phalaenopsis stay in top condition from the nursery to the customer. The water stick is placed through the holes in the plant pot into the water reservoir and the plant can then absorb water by the capillary action of the water stick. 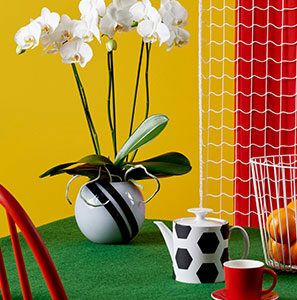 The water reservoir can be filled by squeezing the flexible H2Obloom vase and loosening it from the pot. With H20bloom plants will never get too little or too much water. 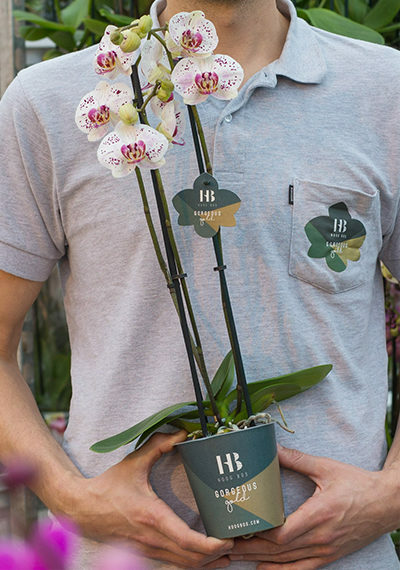 H2OBloom was developed in collaboration with’t Nieuw Bos, Hoog Bos and supplier Krimpen. The watering system is also available for other growers. Want to know more about H2Obloom? We share all our latest developments, newest varieties and beautiful collections on Facebook, Twitter and in our monthly newsletter. 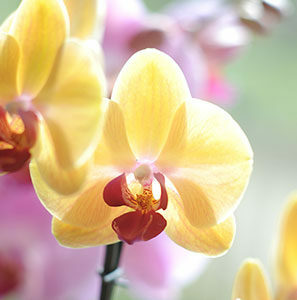 We will also inspire you with gorgeous atmospheric images and inspirational photos of our Phalaenopsis. Are you following us?